This article is part of our series: The Logitech G27 Racing Wheel for Casual Racing Gamers. Here, we will cover setting up your G27 racing wheel to play NFS: Hot Pursuit. The 16th title in the series, Hot Pursuit was developed by Criterion Games and published by Electronic Arts. Hot Pursuit revisits a favorite concept of the series with high speed police chases through the streets, now featuring an open world. 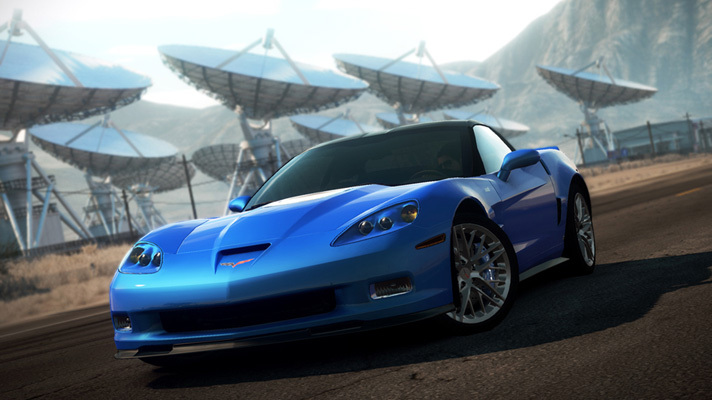 Need for Speed: Hot Pursuit, while a great step forward for the franchise, is a big step backward for G27 fans. Force feedback is very limited, there is no shifting, and still no built-in LED support. Worst of all, there is a large steering dead zone. I will address these after the step-by-step instructions below. For some mind-boggling reason, there is a large dead zone in the steering. This is very frustrating and unplayable if you don’t have someone to help out. Luckily, I have 2 answers for you. Your first option– shrink the dead zone by also shrinking the steering range. To do this, you just lower your degrees of rotation to 180-200. Quick and official, but it doesn’t totally solve the problem. The second option– download a file made by racing community member Racer_S at TocaEdit.com. This file will eliminate the dead zone, allow the use of your paddle shifters, correct force feedback, and give you 1:1 steering. Here is a link to the file at SolidlyStated. Two caveats! First, this is not official (even though EA should buy it from him and implement the change) so Racer_S says not to use it online. Cheat detection mechanisms might think you modded the game to cheat. Secondly, you should add a 2-3% dead zone in your Logitech Profiler under Steering Wheel > Axis Properties. If you want an easy explanation of using this download, at least until Criterion/EA get a patch to improve things, check out this helpful article for using the mod and adjusting the Profiler dead zone. For the time being, I think Racer_S gives us a great fix to be able to enjoy the game with our wheel. It is inexcusable for the biggest racing franchise out there to not fully and properly support wheels. This game is incredibly polished and has huge production values and I am sure EA doesn’t want it to end up in the bargain bin with the disasters known as Split Second and Blur. There will no doubt be a patch sooner or later. Until then, it only takes a few minutes to implement this fix. PS- If you are having issues with blinking trees, read this posting. It’s pretty unacceptable at this point to have top-tier racing games that don’t properly support wheels from major manufacturers. What’s worse is that Criterion still insists that this problem doesn’t exist! Are you f*&^ing kidding me? Sorry about the PS3 version, since you can’t mod it like the PC. 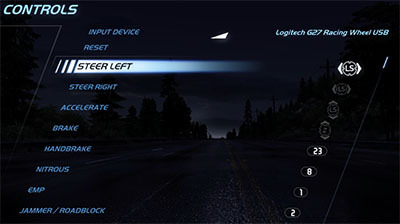 When I play hot pursuit in the computer with my g27, it works with no dead zone after trying the second option. However, the input of the wheel encounters a (0.5 second) delay in the game. Is it the problem of my computer ? thanks in advance. Does it work normally without that mod? I never had any problem with that, but the older version of the mod actually made the game crash after the a patch was released. Go check out the new version of the mod at tocaedit.com. It may fix the issue. I can launch the game but when I go to race it crashes. The error message simply says that “need for speed has stopped working.” I believe the latest steam version is 1.5, yet the options in the .ini only go up to 1.2. Do you know if there is a way to use this with the most up to date steam version? Does it means we can’t play it with manual shift so we must automatic? Woh-woh this depends on how you play racing games. Sometime automatic control is really interesting and we just have to concentrate to drive with max speed not on shifting. first thanks for al those articles about the logitech g27. i have one quastion ….